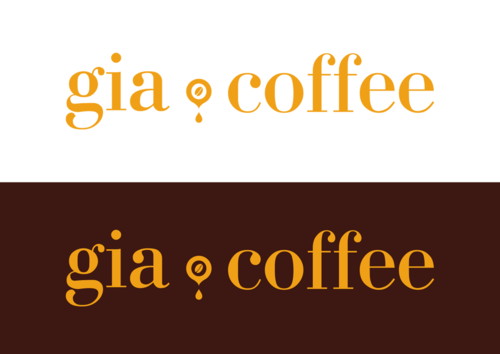 I’m fed up with logos created for the coffee industry which include coffee stains. This element has been so over used in the past few years, that it’s turned into an absolute cliche. I’m so lucky that I had the chance to work with a few independent coffee shops in London and abroad. I joined some of the companies at a later stage doing rebranding, but for most I was a part of the development team and designed the brands from scratch. It gave me the opportunity to be part of the creation and see them growing and flourishing in no time. As you can imagine I didn’t use any coffee stains! There are plenty of things that you may associate with coffee and the actual way of preparing it. Once you love coffee, you know that there isn’t such a thing like “Just Coffee”. There is such a variety of things to love about coffee – smell, taste, flavour, ways of making it, ways of serve it. What I really love about the wave of contemporary independent coffee shops is that they create art while making your perfect cup of coffee. They don’t just put a coffee machine on the counter, but create the whole atmosphere in their unique way trying to make you feel comfortable. So, when creating the logos I tried to create something outside the box, yet stylish and presenting every single business in their own way. Think of coffee… what do you imagine… a cup, coffee beans, an espresso machine, a group head, pouring coffee, a pot, a cafeteria, steam, foam, latte art… So many symbols which can inspire you and you don’t even need to go to the stain pattern. 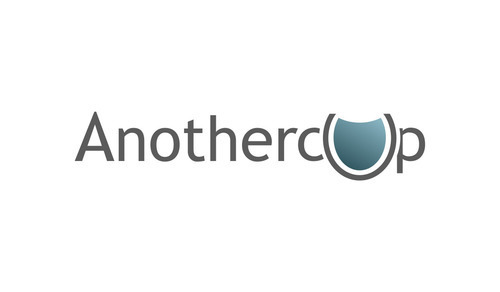 AnotherCup is not a coffee shop, but is an independent consultant that helps cafés and bars by designing their shops, project management, equipment, staff training, audits, machine repairing, etc. Robert Henry also leads the course “How to open a coffee shop” in London School of Coffee, and is an international barista judge. The company used to have an old logo using an actual photography of a cup and had nearly no presence online. I kept the cup as a main element and the grey-blue scheme they’ve been using before, so I created a clean logotype and redesigned all stationery and marketing materials. 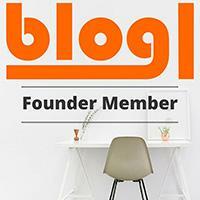 A whole new web concept and development with a strong usage of social networks, especially Twitter. 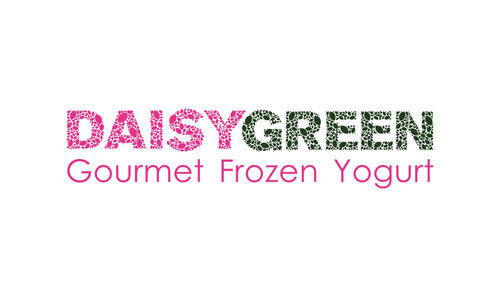 Daisy Green started as a frozen yogurt company, selling in vans at different location in town, but for less than a year they’ve developed so well. Now they’re building a yogurt-coffee shop in the Marbel Arch area. It was a real pleasure for me to be a part of the brand development team. I’ve worked with them nearly a year, starting from 3 logos for their 3 company branches. This was followed by stationery, adverts, marketing materials, graphics for the website, menu boards, cups and containers, etc. 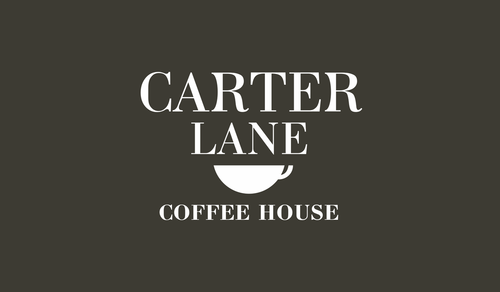 CarterLane Coffee House is a tiny yet sweet coffee shop right next to St. Paul’s. It’s been a real gem in the area, because as soon as they opened it got so popular – people started queuing on the street, blogging about the place, sharing pictures… I guess the secret is the good coffee and the two Italian baristas which are charming every customer. I’ve developed the colour scheme and logo concept for them, designed and developed a website (will be launched very soon), twitter profile design, street sign and leaflets. 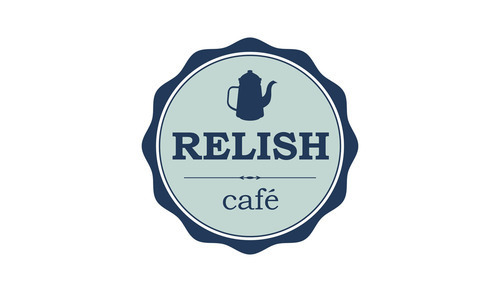 Relish Café is situated in Geneva. They’ve just started around new year. The couple that runs it wanted to bring some tasty home made food and Australian style of good coffee into the town. My work with them involved crating the brand identity, logo, business and loyalty cards, cups, windows frosting. Gia Coffee is a new shop that has just opened in Aylesbury. Their taste for coffee making their own place leaded to an orange chocolate concept. Very warm and welcoming combination of colours that invites you into the place. Here you can see the way of making coffee – a bean that turns into a drop falling down through the espresso group head. 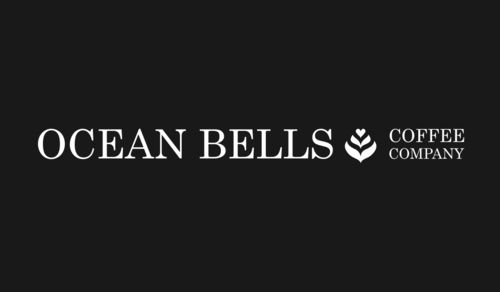 Ocean Bells is my last logo which I just completed and sent off the finals to the customer. It’s no secret that they love coffee and especially latte art! I’m wishing them lots of luck and opening soon.